Certainly everyone has to start somewhere. Just because they don't have the specialized knowledge or experience yet, they try and take a ‘Short Cut’. Instead of learning the correct steps from someone that will help guide you to success, in the end you will learn through your own mistakes. This attempted ‘Short Cut’ ends up costing you more Time, Money, Frustration, Credibility, and Self-Esteem. It's amazing the length some will go at times to try and short cut success. When someone is heading down the wrong path, it is often tough to tell them to stop; turn around and go in a different direction. Many people would rather tell them how hard they are working, than to disagree with the flawed thinking that convinced them to take this path. The fastest way to true success is actually learning from the mistakes others made before you. Their efforts came from sweat, scars and tears shed in the pursuit of the correct answer. No one person knows everything. Some might let their ego blind them into thinking they are the only one who knows the right answer. “The 10,000 Hour Rule” is a term coined by Malcolm Gladwell. His principle states that 10,000 hours of ‘deliberate practice’ are needed to become world-class in any field. If you invest three hours per day of diligent study, it will take you a little over 9 years to become an expert. The faster you invite an experienced professional to brainstorm with you, on your behalf; the quicker you will succeed. In the end you will discover THIS IS the true short cut to success. The time, money and labor you save can be invested somewhere else it is really needed. This is how you compress time vs. continuing to struggle. It is amazing how easy it can be to listen and learn from a vendor-partner with over 25 years actual in the trenches experience. You have the ability to leverage their experience and knowledge immediately. 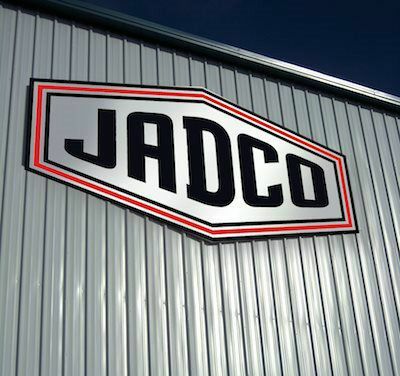 In 2018, JADCO Manufacturing Inc. celebrated 38 years of assisting industry to get their wear issues under control. How can we help you get a handle on your greatest wear resistant challenge today? Contact us to set an appointment that fits your schedule and urgency requirements.